Newly placed job listings by Google indicates that the company plans on pushing out new smartwatches in the near future. Google is currently looking for a Vice President of Hardware Engineering for Wearables and a Wearables Design Manager. Google also acquired technology from Fossil recently for $40 million as part of its smart wearables expansion plans as well. While Google revealed last year that it does not have a Pixel Watch in the works, a recent job listing suggests otherwise. The tech giant posted a new job listing with the title of “Vice President of Hardware Engineering for Wearables.” The company was one of the first companies to start the smart wearables craze with Google Glass but did not have any exciting hardware to offer so far when it comes to smartwatches. The company did find success in the smart wearables market with Wear OS, which powers a large number of Android smartwatches. The job role indicates that the selected candidate will be responsible for the development of the new Google smart wearables over the next few years. 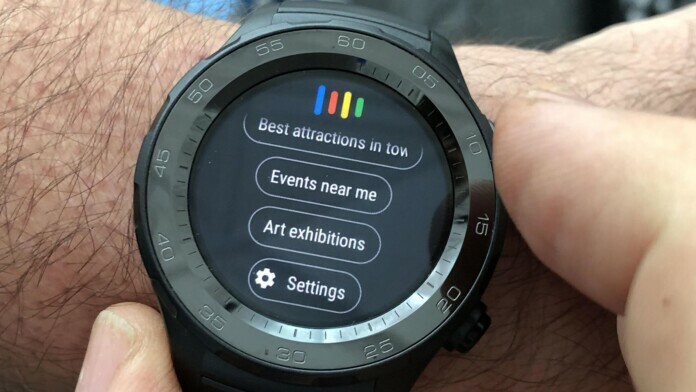 With Wear OS being established as a solid platform for smart wearables, Google should be able to push out a quality Pixel smartwatch in no time. Currently, the Pixel Buds happen to be the only product i.e part of the company’s wearable lineup. However, the company is set to expand its hardware pool with Daydream VR products in the pipeline. Aside from the hardware engineering position, Google is also looking for a Wearables Design Manager. However, the job listing does not offer much information. This is not the first time that the company has indicated interest in wearables. The tech giant recently purchased technology from watch company Fossil worth $40 million. While details about the business were not revealed, reports indicate that it has to do with fitness tracking. What do you think about Google working on a Pixel watch? Let us know in the comments below. Also, to get instant tech updates, follow TechNadu’s Facebook page, and Twitter handle.